Dr. Botstein was educated at Harvard (A.B. 1963) and the University of Michigan (Ph.D. 1967). He joined the faculty of the Massachusetts Institute of Technology, rising through the ranks from Instructor to Professor of Genetics. In 1987 he moved to Genentech, Inc. as Vice President — Science, and in 1990 he joined Stanford University’s School of Medicine, where he was Chairman of the Department of Genetics. In 2003 he became Director of the Lewis-Sigler Institute of Integrative Genomics and the Anthony Evnin Professor of Genomics at Princeton University. He co-taught the Advanced Bacterial Genetics Course at Cold Spring Harbor Laboratory in the 1970s. Dr. Botstein’s research has centered on genetics, especially the use of genetic methods to understand biological functions. His early work in bacterial genetics contributed to the discovery of transposable elements in bacteria and an understanding of their physical structures and genetic properties. In the early 1970’s he turned to budding yeast (Saccharomyces cerevisiae) and devised genetic methods to study the functions of the actin and tubulin cytoskeletons. In 1980 he began his theoretical contributions on linkage mapping of the human genome by suggesting, with collaborators, that restriction fragment length polymorphisms (RFLPs) could be used to produce a linkage map of the human genome and to map the genes that cause disease in humans. Linkage mapping of human disease genes became one of the foundations of the Human Genome Project. Dr. Botstein also participated in the sequencing the genome of Saccharomyces cerevisiae, the first eukaryotic genome to be sequenced. In the 1990s Dr. Botstein’s research focused on the emerging science of genomics. With J. Michael Cherry, he founded the Saccharomyces Genome Database, which continues to be a major international resource that connects genomic sequences with biological functions; in this role he contributed to the founding of the Gene Ontology Consortium. With Patrick O. Brown, he contributed to the development of DNA microarray technology, notably analysis methods that connect gene expression data with the biological functions of genes. Together they adapted microarray technology to classify and study human tumors, resulting in discoveries of tumor subtypes with distinct biology and clinical consequences. As Director of the Lewis-Sigler Institute, Dr. Botstein led a team of faculty to develop the innovative new Integrated Science Curriculum (ISC), where the basic ideas of physics, chemistry, computer science and biology, along with the relevant mathematics, are taught together. Dr. Botstein also directed one of the national Centers for System Biology established by the National Institute of General Medical Sciences (NIGMS). Under his leadership, a new graduate program, the Quantitative and Computational Biology program, was established, as well as the Lewis-Sigler Fellow program for early career scientists. Dr. Botstein is now the Chief Scientific Officer of Calico, a start-up that aims to take innovative, interdisciplinary approaches toward anti-aging and increased lifespan. Dr. Botstein was elected to the U.S. National Academy of Sciences in 1981 and to the Institute of Medicine in 1993. He served on many policy-making and peer-review committees, including the NAS/NRC study on the Human Genome Project (1987-88), the NIH Program Advisory Panel on the Human Genome (1989-90), the Advisory Council of the National Center for Human Genome Research (1990-1995) and the Advisory Committee to the Director, National Institutes of Health (2003-2008). He has served on the Board of Trustees of Cold Spring Harbor Laboratory (1985-1991; 2003-2011) and Rockefeller University since 2005. He was President of the Genetics Society of America in 1997. 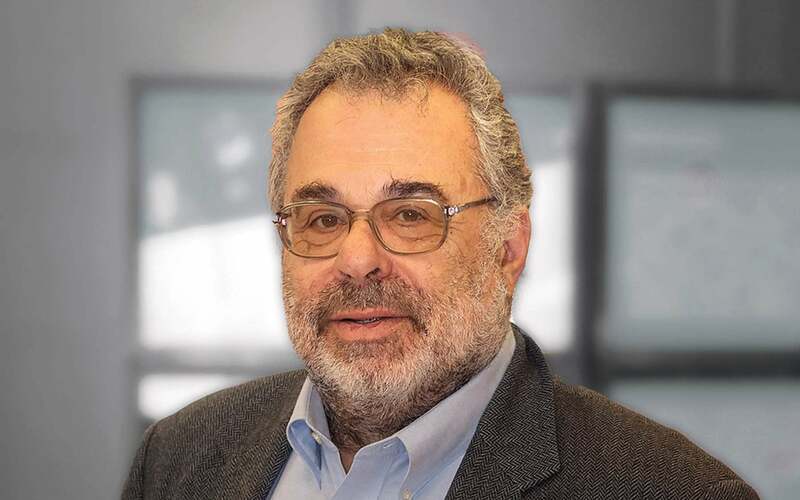 He has won several awards, including the Eli Lilly Award in Microbiology (1978), the Genetics Society of America Medal (shared with Ira Herskowitz, 1988), the Allen Award of the American Society of Human Genetics (1989), the Dickson Prize (1992), the Rosenstiel Award (1992), the Gruber Prize in Genetics (2003), the Albany Prize (shared with Eric Lander and Francis Collins, 2010), the Dan David Prize (shared with Eric Lander and J. Craig Venter, 2012), and the Breakthrough Prize in Life Sciences (2013).